An opportunity to learn, or refresh, your knowledge of suicide first-aid is coming up soon. 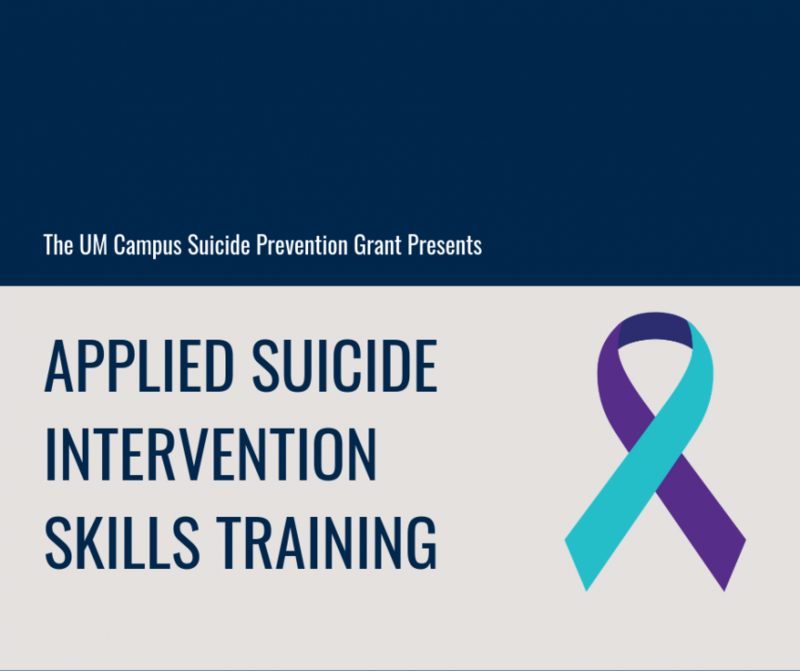 The U-M Campus Suicide Prevention Grant will present the interactive workshop ASIST (Applied Suicide Intervention Skills Training) on Thursday and Friday, March 28-29. ASIST focuses on giving participants the skills to recognize when someone may be at risk of suicide, then work with them to create a plan that supports their immediate safety. These skills can be learned and used by anyone; the training is open to all who are interested. ASIST will run from 8 a.m. to 4:30 p.m. on both days. The fee is $80 and includes breakfast, lunch, and all training materials. Attendance at both days of the training is required. To register, please complete the ASIST Registration Form. This training is funded by the U-M Campus Suicide Grant, an initiative designed to increase the campus community’s capacity for suicide prevention using a combination of mental health education, student support, and stigma reduction. If you have questions about the training or the grant project, please contact Cindy Foster at cjfoster@med.umich.edu. What: Two-day interactive workshop in suicide first-aid, open to all who work with those at risk of suicide or those interested in building suicide prevention skills. Cost: $80. Includes breakfast, lunch, and all training materials. When: 8 a.m. to 4:30 p.m. Thursday and Friday, March 28-29, 2019.